The power of 18Birdies - on your wrist! Watch app supported on Android Watches running Wear 2.0 Operating System. Please note that the current version isn't compatible with the Samsung Gear/Galaxy series at this time. Any updates regarding this will be posted in the Release Notes . First, make sure you have the 18Birdies app downloaded on your Android phone. On the Android Watch, click the scroll wheel button to access your apps. Tap Play Store to access the Google Play Store. Scroll down to Apps on your phone. Find the 18Birdies app and tap the download arrow to initiate the app download. When the app has finished downloading and installing, tap the name of the app and then tap Open to open the app. On the Android Watch, click the scroll wheel to access your apps. Find the 18Birdies app logo and tap to open the app. First, from your watch, find the 18Birdies app logo and tap it to go to the home screen. You should see a prompt to start a new round on your phone. 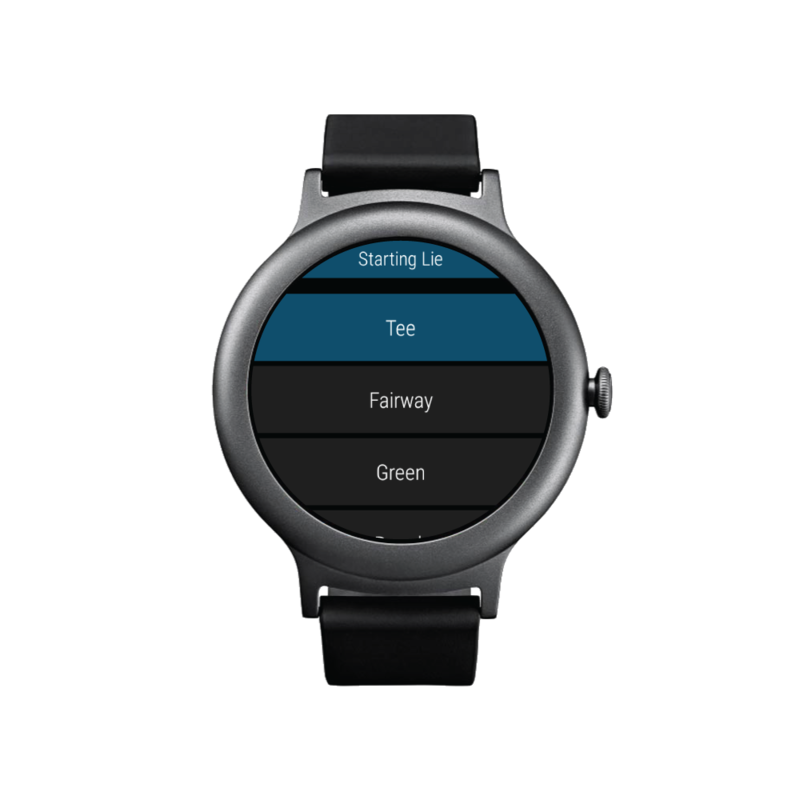 Once the watch app is open, open the 18Birdies app on your iPhone and Start a Round. Complete the Start Round details on your phone. Depending on the model and SKU of your watch, you may need to keep your phone awake throughout the duration of your round for best performance. Tap on the Hole Number section on the right side to open the hole selector. Tap on any hole to Go To Hole. Swipe right to left to move to the next screen. Tap the + or - button to add or subtract strokes. Scoring will begin at Par. Swipe right to left to move to the next screen or swipe left to right to go to the previous screen. Tap each individual category near the top portion of the screen to enter stats for respective categories. Tap the corresponding buttons for each category to enter and edit stats. Tap Next Hole at the bottom of the watch screen to proceed to the next hole. Now you can use your Android watch for our strokes gained scoring mode! 1. 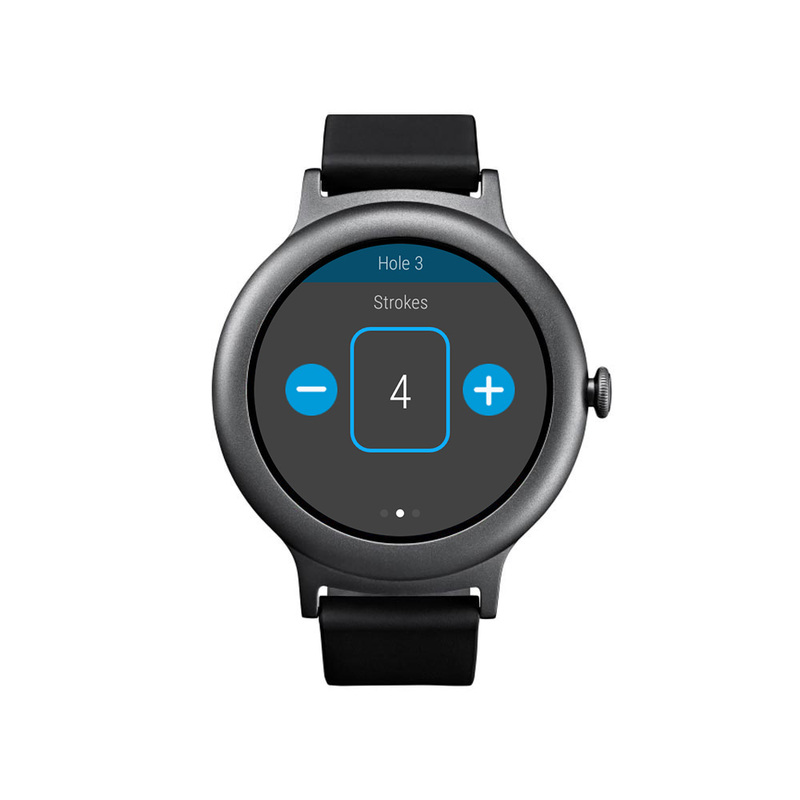 Set up the round on your phone, open the app on your watch, then select ‘Strokes Gained’ scoring method when prompted. 4. Once you get to your ball, tap “Add Shot 2” and follow the previous steps to confirm your distance, lie, and club. A. Adjust the Dist. to Hole to change the length of your putt. B. If you miss the putt, tap ‘Add Another Putt’ to record the putt and start another putt. 6. When you finish the hole, you can swipe to the right-hand screen and see a Hole 1 shot summary screen. If you need to edit any shots, you can do so from your phone.